Glenna passed away unexpectedly in the early morning of January 19, 2019. "She fell asleep on earth and awoke in Heaven," the Pastor of Olivet Baptist Church told members at the Sunday service the next day. She was welcomed by her husband, Alfred, and her many friends and relatives. Glenna was born on November 30, 1933 to Lum Fai and Gladys Young, the second of six children. She graduated from McKinley High School in 1951. She fell in love with Alfred Wong and they were married in May 1954. Her jobs included working at the Kress Store in sales and as a bookkeeper/clerical worker at Sierra Shell and Olivet Baptist Church, where she was a member for nearly 69-years. Glenna was the hard-working assistant to Alfred in their numerous photographic engagements to memorialize special dinners and weddings for friends and relatives; and documenting significant events for the Hawaii Baptist Academy, Olivet Baptist Church, American Cancer Society, Muscular Dystrophy Association and numerous other not-for-profits. 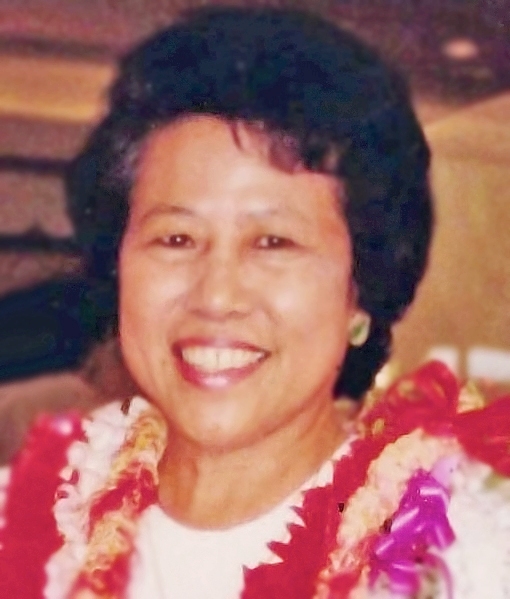 Throughout her children's school years, she was actively involved in PTSA and their other school activities. After Alfred's passing, she formed the Merry Widow's Club at Olivet. She enjoyed meals with friends and relatives and hosting a monthly dinner for the family. Her loving smile and caring nature will be remembered by all she met. Her favorite saying - Tomorrow is promised to no one, just live the best for today. Glenna is survived by son Gregory (wife Doreen and grandsons Ian and Landon) and daughter Lisa Kamei (husband Gordon and granddaughter Jaclyn); Young siblings Janet, Gerrit (Anita), Delano (Caroline) and Darice; and many nephews and nieces. A celebration of Glenna's life will be held on Saturday February 16, 2019 at Olivet Baptist Church, 1775 So. Beretania St. Visitation at 9:00am. Service at 10:30am. The family requests no flowers.